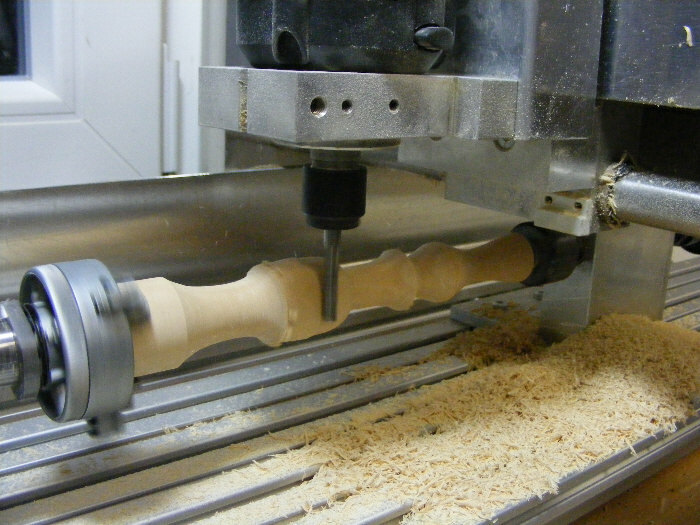 Examples of the desktop CNC machine High-Z turned into a CNC lathe with the lathe kit. 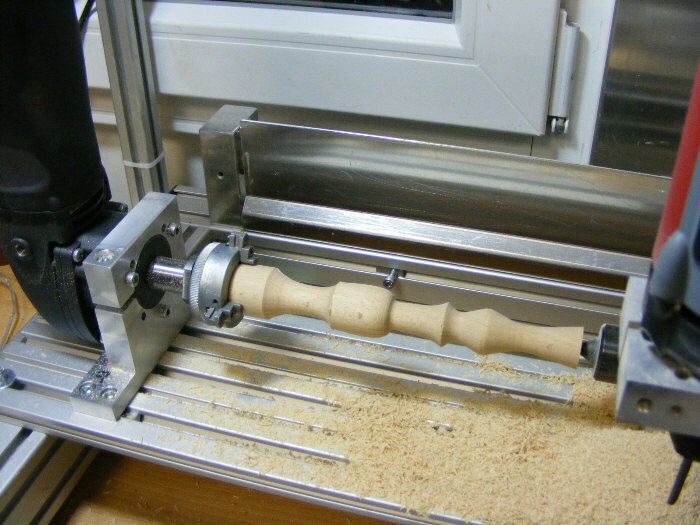 The lathe accessory kit for our High-Z and T-Rex machines is a great inexpensive way to create turned objects. 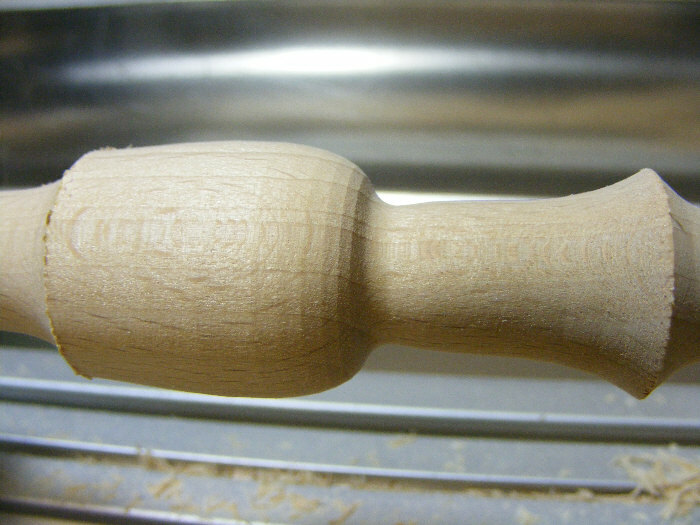 It is easy to install so that you can make chair legs, spindles, bowls, chess figures, spinning tops, candle sticks, billiard cues and more. 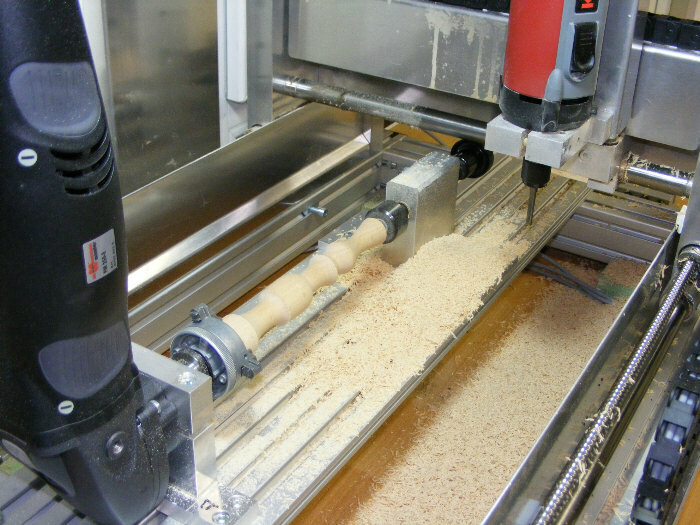 Programming the lathe can now be made directly in WinPCNC USB, making it easier than ever to use. Create the final form as curve in a CAD program and export it as a PLT or HPGL file. Then use this file directly in WinPCNC.